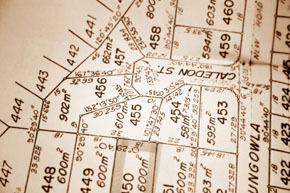 Silverberg Zalantis attorneys have been involved on both sides of commercial and residential developments requiring subdivision and/or site plan approvals in communities from Westchester, Rockland and Orange Counties in New York to Fairfield County in Connecticut. Projects have ranged from two lot subdivisions to office parks, shopping centers and mixed use projects involving commercial centers and up to 500 units of housing. Whether the application involves a golf course, an office building or senior housing complex the basic goal is the same-to present the proper information in a clear manner that complies with the state and local regulations. We have appeared in and/or represented dozens of communities and we know how to work through the often complex procedures. We know and have worked with many of the leading planners, engineers, architects and lawyers who represent both developers and communities. Whether our clients are developers or municipalities reviewing a project, our lawyers become involved at the earliest stages of a project and guide our clients through each procedural step in order to ensure that there is compliance with the regulatory process. We view our role not only as legal advisor but as team leader to coordinate among the various consultants to help provide the most consistent and comprehensive presentation or review possible.